RESTORE AND RENEW YOUR EYES! 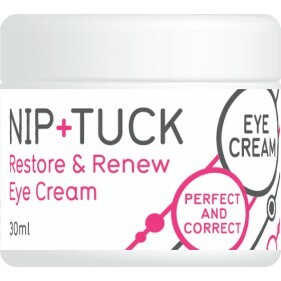 Nip and Tuck Restore and Renew Eye Cream reduces the appearance of lines and wrinkles. The rich cream plumps the eye area with moisture, ensuring a youthful appearance of the entire eye area! This unique formulation visibly lifts and evens the skin tone. The luxurious eye cream is full of vitamin s and minerals that reduce the appearance of bags and dark circles. It really is a miracle cream! Simply massage a small amount of cream around the eye area in soft gentle motions daily! We guarantee you will love the results! • Reduces the appearance of lines and wrinkles! • Contains essential vitamins & minerals reduce bags & dark circles! • Moisture rich formula ensures a youthful appearance of the entire eye area! • Fast working, great results guaranteed! Nip & Tuck products are the perfect solution for non-surgical skin and body treatments! • Nip & Tuck products are formulated using 100% safe and natural ingredients! • Our treatments are clinically tested & developed alongside an expert team of cosmetic surgeons! • Nip & Tuck products guarantee great results, fast! • No need to spend thousands on cosmetic surgery! 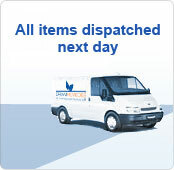 WORLD WIDE SHIPPING IS FREE!